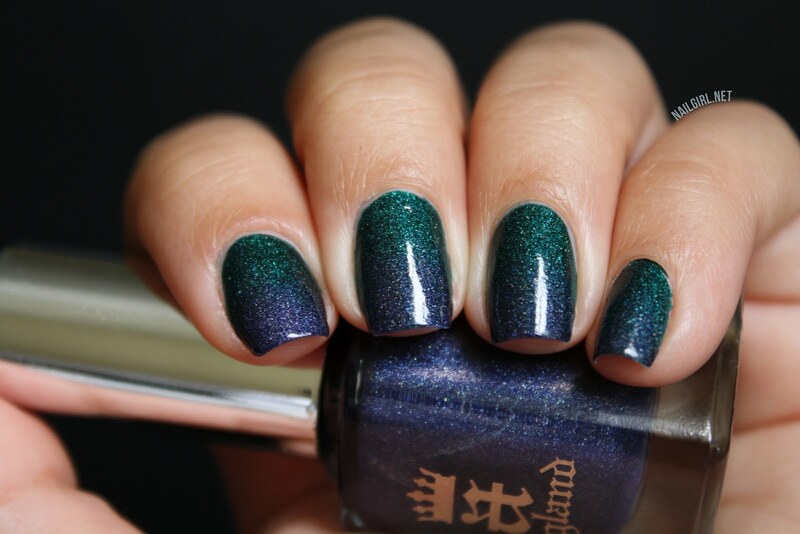 Saint George and Tristam are two flawless, scattered holos from A England. Saint George is the teal, and Tristam is the lovely blurple. To me, Saint George is a color everyone should have - it's not too young or too old, has a flawless formula and just looks so damn lovely! I hope you love this mani just as much as I do. I used the makeup sponge technique for this gradient, and it turned out way better than any of my previous attempts... I guess I'm getting better?! 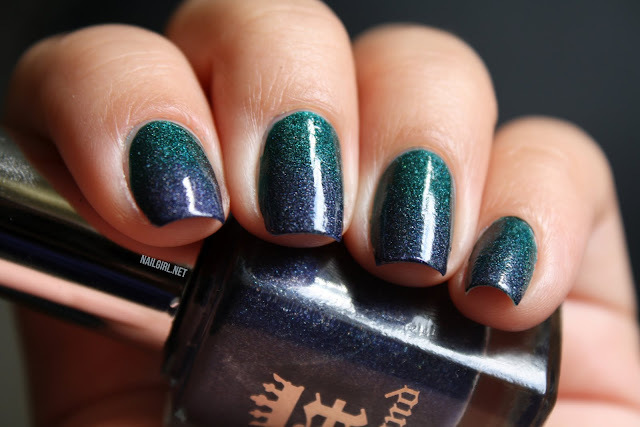 Is there a polish that you think everyone should have? Let me know! I need to try this! It looks gorgeous! Wow! You did an amazing job with this gradient! I love it! Oh wow, this is gorgeous. 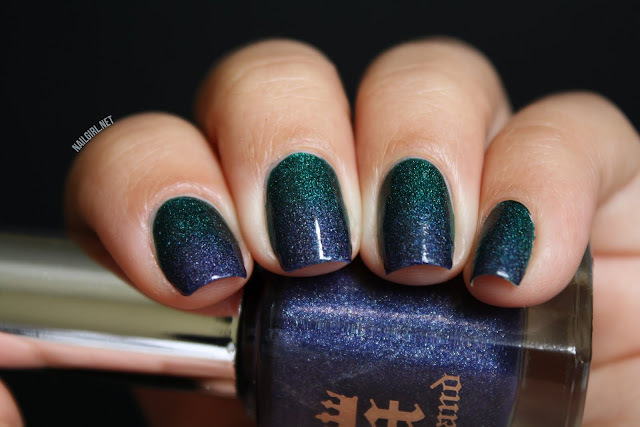 I bet it would look amazing with a light coat of Cosmic Ocean on top too! !